SalesMantra is a unique online CRM tool which helps to improve sales and service activities and make end users to management more efficient in their routine work. SalesMantra provides very simple yet very useful integration of both sales and service module. It helps management to take tactical and strategical decisions. It tackles various business pains. Large team can only be controlled, monitored or managed by technology to grow with pace in the competitive market and taking small steps towards digitalization and virtualization helps to achieve big goals. Without software, sales and service persons will update data in excel or any other format, which is actually crude way of storing data, liable to loss of information, calculation mistakes etc. Getting reports through excel, email or printed reports eats your valuable time and increase cost of a resource to consolidate & print reports. Whereas Software gives you real time reports and reduce the human error to minimum level. Reports and Analytics are the pulse of any organization which provides insights in the financial health of the companies. They provide objectivity to any operation and help the management to keep a close look on the performance and the results of strategic decisions. Monitor zone wise performance on leads and understand where you need to focus and also get to know the productive sources where you invest or not. Gives clear picture of the targets, achievements, collections and expenses to find out the productive and unproductive resources. Let you know the missed opportunities so that you avoid business loss if you are missing some valuable lead. Saves employee time to file expense and documents the receipts etc. Gives you the employee expense for entire year which you can compare with his order value, also you can know how much expense incur on a particular customer. Gives you the entire complaints of year and figure out whether the complaints are increasing or decreasing on monthly basis and their resolution respectively. Find the faults with product, engineer or the end users. Follow clients for timely AMC renewals to encase the existing business and avoid loss of business due to missed follow ups. Through dynamic feedback forms, predict the customer needs and proactively provide the solution to make long lasting relationship with new and existing clients. 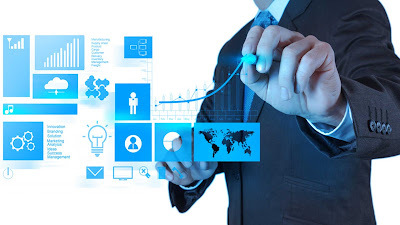 Get Advanced Business Intelligence Reports & Control Business by Investing Few Minutes! As sales processes get advanced and faster, we have incorporated various new Business Intelligence Reports which will help you keep pace with the speed of doing business in today’s world. Ø Lead Analysis Report: Helps to know the current status of leads received & analysis as per different criteria like source wise, region wise, etc. Ø Employee Performance Report: Analyse complete performance of region & employees based on all parameters related to leads, meetings, proposals sent & orders received. A 5 minute snapshot will give you overall business update. We are confident that these reports will help organizations in increasing sales & identifying the weaker areas and take corrective steps towards improving efficiency. When your customer records are in a CRM, and emails are stored in a mail client, what your sales reps eventually get is a messy and fragmented system that gives absolutely no context about a customer’s needs at all. The email management system in Sales Mantra gives you one place to access all your sales interactions, eliminating the need to switch between applications. By connecting your mailbox, the CRM filters out only your relevant customer emails and associates it with the lead or contact along with attachments, if any. You can also send emails either from your mail client or from Sales Mantra and find the emails in the Sent folder of both apps. The email management tool also has email tracking that tells you who has opened and clicked the link on your email, when and how many times. Swiftly shoot out emails, receive emails and send emails in bulk to a larger group of customers, all from Sales Mantra. Desktop email clients like Microsoft Outlook and Mozilla Thunderbird offer a list of sophisticated features including WYSIWYG editors for composing messages and anti-spam and anti-phishing security. Online email services, called webmail, also offer the same features as desktop email software. Popular online email services are Gmail and Yahoo! Mail. Reach out to hundreds of leads and clients with a single email using the mass mailing option. Build a mailing list using the client data from any Folder and send personalized messages for better engagement. You can track who has checked your marketing pitch using the open tracking and build reports to analyze the efficiency of a campaign. No matter how niche your business is, your clientele is not homogeneous. Leads might live in different countries, represent various areas of business or have distinct needs. So why should they receive the very same email? Segment your mailing list by relevant criteria and client characteristics to ensure that the right people get the right content. Let your leads and clients receive a perfect pitch that was written as if exclusively for them. Sales Mantra CRM allows you to put the data you store to good use during an email campaign. Take your leads and customers information into consideration before emailing them with marketing materials. The more personal, precise and relevant the content you present them, the higher the ROI. Marketing and sales team may have different goals, but they often work with the same people. Provide your sales team with the marketing data to mind the segmentation and targeting. Having a complete view of the leads and clients engaged in marketing efforts can make it easier for sales to close deals. As all the data updates in real time, both teams will be on the same page. All your marketing efforts can be in vain if you can't measure their efficiency. Sales Mantra CRM provides you with an insight into the results of your email campaigns. Learn if and who of the recipients have opened your messages. Produce detailed reports to see which tactics work and what groups resonate with your marketing materials. Despite having many appropriate features, marketing automation is not the main purpose of a CRM. Sales Mantra can provide you with segmentation and targeting opportunities for building your mailing list and exporting it into a service of your choice. Export your full client lists or segmented data to your favorite services, like Mail chimp, with ease. CRM technologies afford for successful execution of the various campaigns employing one on-demand solution. Moreover, some of the latest industry reports are indicating a strong interest of the end users to utilize consolidated solution for the variety of customer-facing processes. That’s why companies like bpm’online are offering comprehensive out-of-the-box processes for sales, marketing and service automation aimed at establishing great customer relationship throughout the entire customer journey allowing companies to effectively manage every stage of customer interactions, including email marketing campaigns. With the marketing automation features, you can take care of campaign management, multi channel communications, integrations with SMS, email, social networks to just to name a few. Moreover, the solution is not only streamlining marketing and business processes with sending out massive outbound emails or manage other marketing activities but can evaluate the performance, set right goals, segment your messaging and so for. It is also very attractively prices and rolls out in minutes. Sales force automation is a technology solution which helps and manages your sales force, making loads of manual function redundant, thus saving big on the productive time of your sales force. It is basically a technique to automate the business tasks like order processing, contact management, information sharing, inventory monitoring and control, order tracking, customer management, sales forecast analysis and employee performance evaluation sales, that leads to sales. But, to automate the process, you have to take the support of a software that is known as Sales Force Management Software. A brief look at the features of a sales force automation solution would make the functional understanding clear. Just have a look at mobile-based sales force automation software Sales Mantra specially made for the FMCG industry. It’s a mobile-based application accompanied by dashboard which can be viewed from office screen as well. Geo tagging: It provides you complete visibility of the retailers in your area. Through GPS you can see whenever your salesperson is visiting the retail outlets. It gives you complete information about the demographic, number of stores, which areas to target to expand your business. Order Basket: Your salesperson can take order based on class/segment on areal-time basis. You have complete visibility of demand patterns, can prioritize your delivery, and even forecast orders. Taking orders is extremely convenient as you don't need to type, just have to choose between the SKUs you are offering. It cuts down lags as you have the order info in real time basis and can plan the delivery without any waste of time. Permanent Journey Planner (PJP): Through a patented algorithm, it provides the optimum route map for the sales force. Who to visit, when to visit, based on your priorities on class/segment. It saves transportation cost, makes your salesperson much more productive and enabling them to visit more retailers. Real-Time Data Provides real-time demand across all the stores, making easier to cater to dynamic demand. Analytics: The greatest feature of using this application is with theminimal investment you retain your data. Analytics helps you in demand forecasting, planning, and segmenting. Your estimations would be precisely backed by data, increasing your profitability. Limiting aspects of the business can be investment availability, production capacity, supply capacity, size of business, marketing effort, etc. There may be an unsatisfied demand for your products, but if your investment and capacity allow you to offer a certain volume of products, then only that quantity should be captured with your sales forecast. If you decide to increase your investment in advertising next month, you should assume that your sales will increase as well. Be confident but ensure you know how they are linked. You must take into account of seasonality products that are demanded throughout the year (they have a continuous demand), whilst others only demanded at certain times of the year. Also incorporate others that have an irregular demand, when their demand tends to increase or decrease at certain times for noknown reason other than that they do. Take into account your sales aspirations – take into account how much you would like to sell, or what you would like your sales targets to be. But always take into account other factors, especially factors that are limiting the business. · Reduction in sales operations cost: By automating manual tasks, sales executives can focus on more significant projects, such as telephonic and email communication, conflict resolution and hunt for growth opportunities. With the help of social media integrations, sales representatives can import a lead’s contact details directly from social networks, such as Face book, LinkedIn,and Twitter, so as to reduce human effort and save time. · Accurate sales forecasting: SFA solutions track conversion metrics from leads to closing deals; this enables business users to accurately forecast sales conversions. More advanced systems with business intelligence modules generate precise sales forecast by leveraging historical sales data and predictive modeling techniques. · Streamlining workflows: By centralizing sales data, SFA solutions streamline the workflow and establish a formal sales process for the sales teams. With streamlined workflows, clients are able to close deals quicker than before, which further leads to higher conversion rates. Sales managers receive an automated notification once a lead moves to the next level in the sales funnel. · Data visualization and summarizing for timely action: Team leaders can take timely action by reviewing dashboards and summary reports that highlight the critical business performance metrics of sales executives. More advanced solutions facilitate real-time dashboard and report creation, which further enable fact-based decision making. · On-the-move access: A number of SFA solutions are offering applications for 24/7 access from mobile devices, such as laptops, tablets, and mobile phones. Sales executives can collaborate with peers via the app, which further helps in streamlining the workflow. In addition, users can share important documents with clients and resolve their inquiries on-the-go to improve customer satisfaction.